This entry was posted on January 30, 2017 by Nick. Nothing shows someone how much you care quite like a beautiful bouquet of flowers. From Valentine’s Day to Mother’s Day, flowers are the perfect gift for making a loved one smile. Hamper.com have a range of bouquets and flower gifts that have been designed by our talented florists. Find the perfect gift for your significant other this Valentine’s Day from Hamper.com. We have a stunning collection of flowers for Valentine’s Day that they will love! 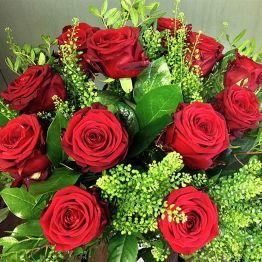 Make a grand romantic gesture this Valentine’s Day with a dozen roses from Hamper.com. The With Love bouquet features twelve Red Naomi roses that are encased in a range of fresh and interesting foliage. Aqua packed and delivered in water to ensure they are fresh and can be enjoyed for as long as possible. The Precious Moments bouquet is another fantastic choice for Valentine’s Day, particularly if red roses aren’t her thing. 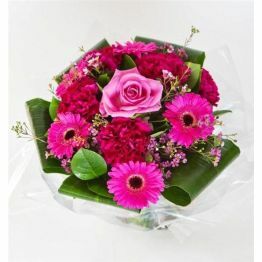 This floral gift combines a range of carefully selected seasonal flowers with pink roses to create an elegant display. All the bouquets provided by Hamper.com are eligible for free UK delivery! 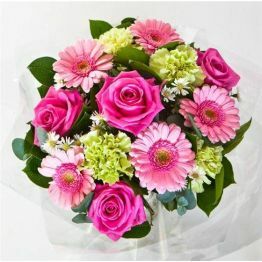 Show your Mum how much she means to you this Mother’s Day with a stunning bouquet of flowers from the florists at Hamper.com. This stunning arrangement features white roses, scented lilies, phlox and lisianthus around bold yellow gerberas, although some flowers may be substituted depending on their seasonal availability. 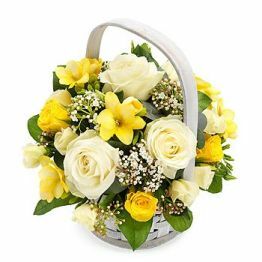 The Sunshine bouquet is a wonderful gift for Mum this Mother’s Day! 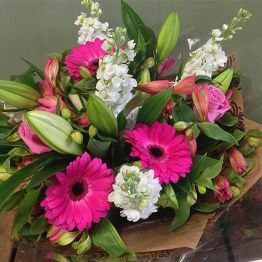 The Lovely Lilies arrangement catches the eye thanks to the inclusion of hot pink gerberas which are accompanied by roses, alstroemeria and contrasting white scented oriental lilies and stocks. 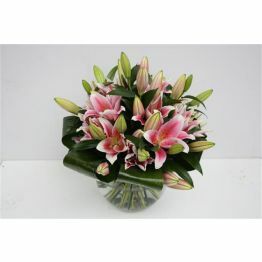 Treat her this Mother’s Day to the fantastic Lovely Lilies bouquet! For more information on the beautiful flower gifts available from Hamper.com, please get in touch. 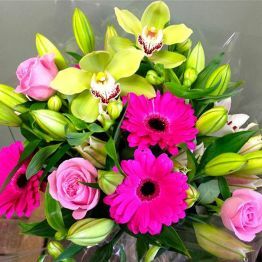 Contact us online and a member of our team will be able to answer any question you may have about any of the gift hampers and flowers we provide.